20 years after it pioneered the concept of ultra-luxury cruising, Silversea Cruises continues to be owned and operated by one family — the Lefebvres of Rome. This means genuine pride in ownership and a deep, personal commitment to maintain the high standards of cruise excellence that have been the cornerstone of Silversea over their first two decades of operation. Recognising the huge contribution towards the company’s continued success, Silversea Cruises wished to create a publication which would actually celebrate the unsung heroes of the company, past and present: the crew. 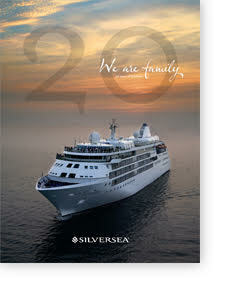 Silversea turned to REM Productions to create a record of glittering naming ceremonies, crew parties and even Facebook memories – all presented in a very high-quality, hard-cover book detailing the contributions of, and presented to all those who make Silversea the world-class cruise line that it is today.